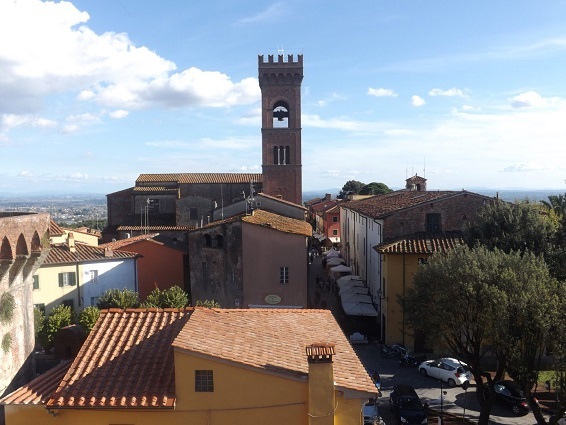 A real full immersion in the Lucca area driving from one hillside to another through beautiful landscapes, to discover its excellent wines combined with great local food, visiting 3 different small farms and enjoying 3 different organic and biological wine-tastings! We will pick you up at the passenger cruise terminal at your time of landing (suggested starting time at 08.00)! Our English-speaking Driverguide will be ready at the entrance of the passenger cruise terminal, waiting for you and holding a sign with your name on it. 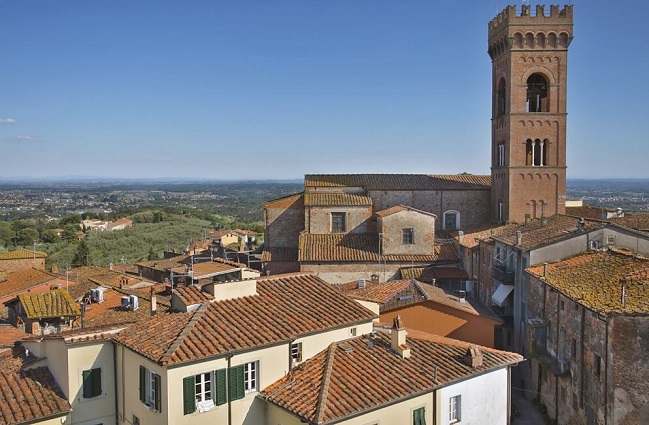 We will spend the entire day discovering the Lucca area for an unforgettable wine experience! 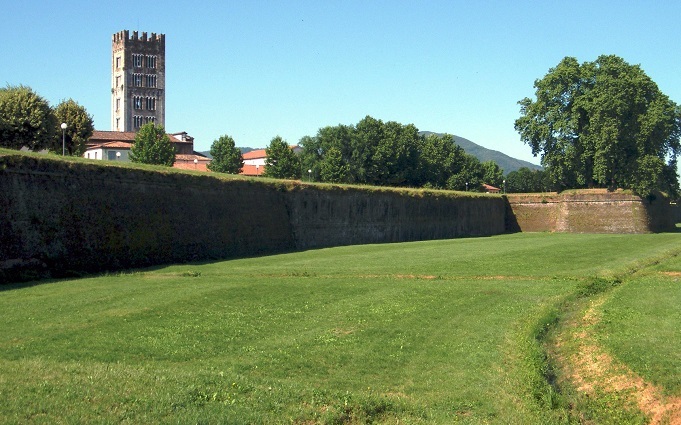 First, we will drive towards Lucca, through its historical center, to discover the unique intact Renaissance city walls and learning more about its defensive system. 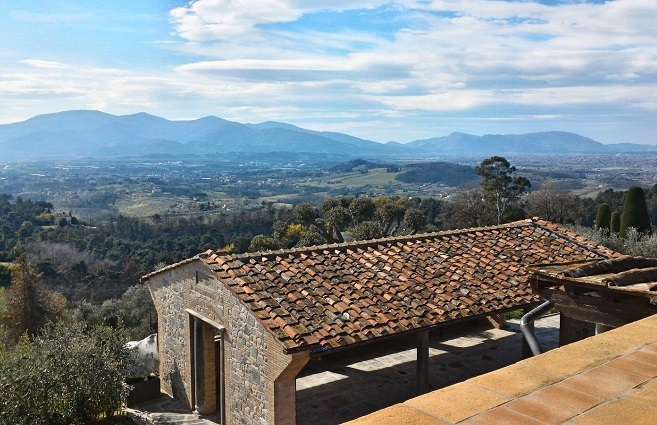 Then, we will move to Pieve Santo Stefano to have a nice organic wine tasting in an ancient farmhouse that has been beautifully restored to offer its guests a unique location full of charm and history with breathtaking views of the city and the valley. 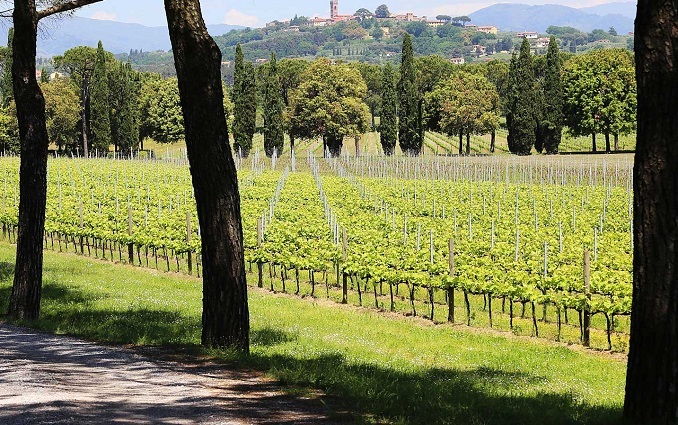 This farm is both organic and biodynamic certified, and the tasting consists in 4 always different wines, combined with local traditional products. 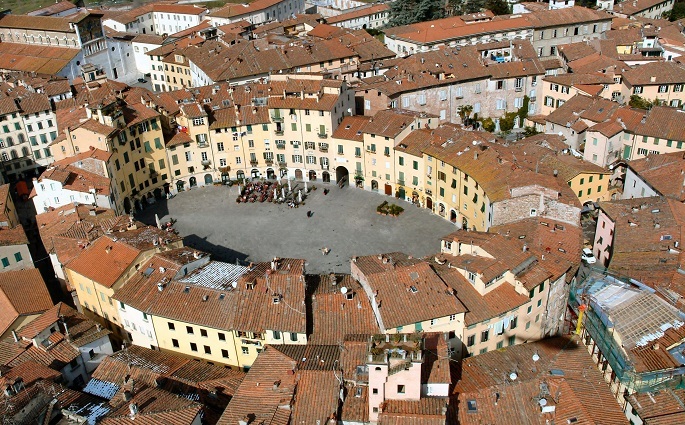 After this experience, we will move to a splendid medieval village, called Montecarlo di Lucca; due to its location, Montecarlo played a strategically important role throughout the 14th century being in the midst of several wars between Lucca, Pisa and Florence. In Montecarlo we will have lunch with wine and olive oil tasting in a small family winery-farm, out from the usual itineraries, where the nice lady-owner will be happy to guide you for a walk in the vineyards and in the cellars to discover the history and tradition of the local wines and olive oil, through an in-depth explanation of the region, as well as the various phases of production, but above all she will give you the opportunity to taste the D.O.C. white and red wine of Montecarlo (produced only in this region) combined with the traditional and local cuisine. Lunch consists in a series of courses made of selected products only from this territory, cooked with simple and traditional recipes: different types of home-made bread with extra virgin olive oil produced in the farm, Bruschetta, Tuscan salami and ham, cheeses with honey, local beans, dessert, and other foods depending on the season. Everything accompanied by 8 different types of wine. 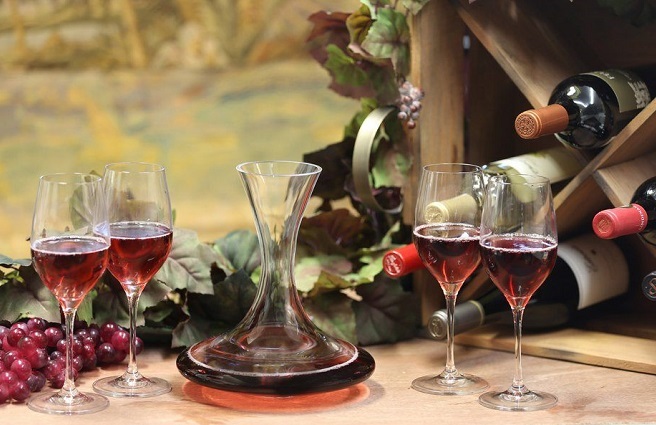 After lunch, you will have your third wine experience of the day in a charming and comfortable estate. The tour includes an introduction with the history of the company, the visit of the cellar where you will have an explanation of every single phases of the wine making process, from the harvest to the bottling, tour of the barriques room and of the historical cellar. The tour ends up in the tasting areas, where you can taste 4/5 among the company’s wines and their extra-virgin olive oils, accompanied by bruschettas and a selection of cheesed and cold cuts. Back to your ship at 05.00pm. Due to road, traffic and weather conditions, the order of the itinerary may change at the discretion of your Driverguide. He may re-arrange the tour to keep the destinations scheduled, giving priority to the comfort and safety. If there are some kids in the group, please notify their age, in order to provide you the proper child car seat, that is necessary for your safety and for the Italian law. In case of passengers with Reduced Mobility, please don’t hesitate to tell us, we have equipped vehicles for any needs. And if you are in possession of a Disabled Parking Permit, please bring it with you as it will allow our driver to have better access to the sites, for your comfort. CONTACT US FOR YOUR CUSTOMIZED PRIVATE TRIP OR FOR A SHARED EXCURSION! We strive to be always simple, clear, concise, transparent and easy to read in the description of the excursion and the services, even if each trip is much more than described. We accept any types of credit and debit card, so that you don’t have to bring a lot of money in cash with you during your holiday. Our English-speaking Driverguides are trained in our academy and constantly monitered by Riccardo. They are professional, flexible, kind, funny, attentive, discreet, provide a safe driving, are fluent in English and are well-acquainted with all aspects of our country. They’ll become your new Italian friends! 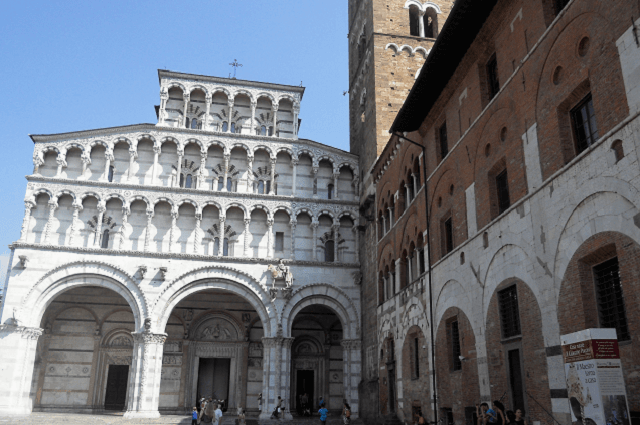 We have a back office, that can assist you during your whole Italy vacation and is able to provide you with information, solutions or simply suggestions and recommandations. info@cruisesontheroadintuscany.com is at your full disposal. Our minivans can sit up to 8 persons, but to have a more enjoyable and comfortable tour experience, the ideal number of passengers that we suggest is 6. If you are a group of more than 6 persons, you can ask us for availability and prices. You can get a 10% discount on the total amount, if you are a group of at least 6 persons and if you book more than one shore excursions with us. Our booking and cancellation policy is designed in order to guarantee the high quality standard of our services. When you book a service on our website, the tour will not be booked and confirmed right away but you need to receive our confirmation of availability. A booking is accepted and becomes definitive only when you receive our confirmation email. Your credit card details are asked at time of booking, but it won’t be charged until we confirm your booking. From the date when our Company sends the confirmation email, the down payment will be charged on your credit card. We accept any types of credit and debit card and a deposit of the 40% is required to confirm your booking. The balance can be paid by credit card ahead of time or cash to your Driverguide on spot. The payment of meals, wine/oil tastings, entrance tickets for monuments, museums, churches or any other attraction, and other extra services are to be paid directly to the services suppliers. > If you cancel at least 8 days in advance of the scheduled departure, there is no cancellation fee and the amount already paid will be totally refunded, except for the bank charges related to the payment. > If you cancel between 4 and 7 days in advance of the scheduled departure, there is a 40% cancellation fee, i.e. the amount of the down payment will not be refunded. > If you cancel within 3 days of the scheduled departure, there is a 100% cancellation fee and our company reserves the right to debit the "no show fee" on your credit card which is the total amount of the requested services.